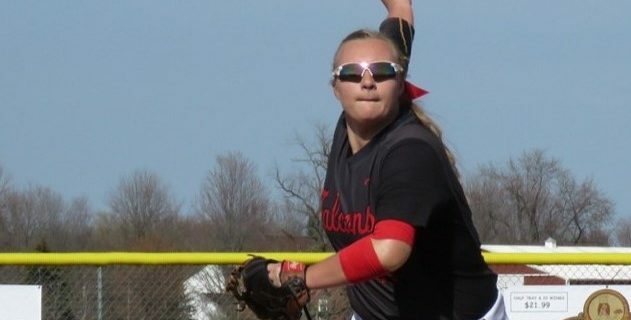 This week’s Southtowns Trophy Athlete of the Week is Mackenzie Quider, a softball player from Niagara-Wheatfield High School. The 17 year old senior is four year starter and team captain. She led the Falcons to the Section VI finals, pitching and playing third base. As a pitcher: 10-3, 2 saves, 40 K. As a batter: .450 average, 4 HR, 27 RBI. Mackenzie was honored as a 1st Team All-Niagara Frontier League player. The Buffalo Sports Page Athlete of the Week award is open to any boy or girl from the ages of 8-19 who excels in any sport. They receive a trophy from Southtowns Trophy in Orchard Park. Nominations can be made through the website on our special nomination form.